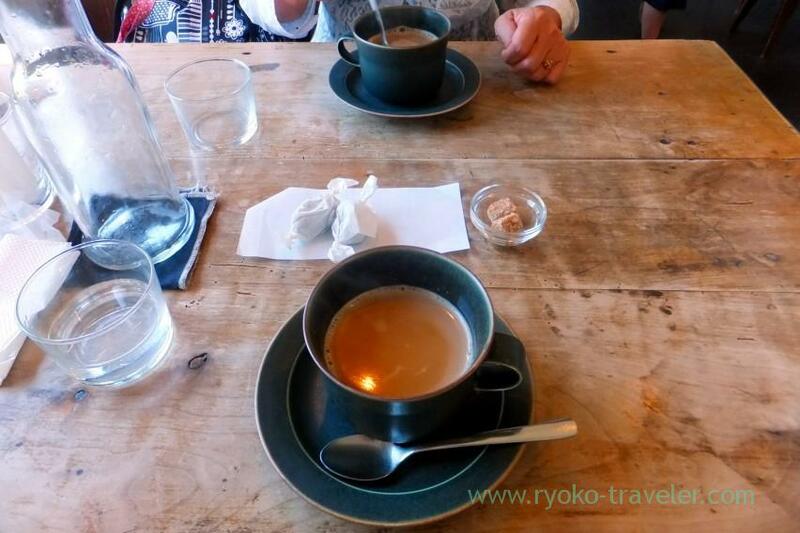 ”Must” food when you visit the old town, Kamakura. 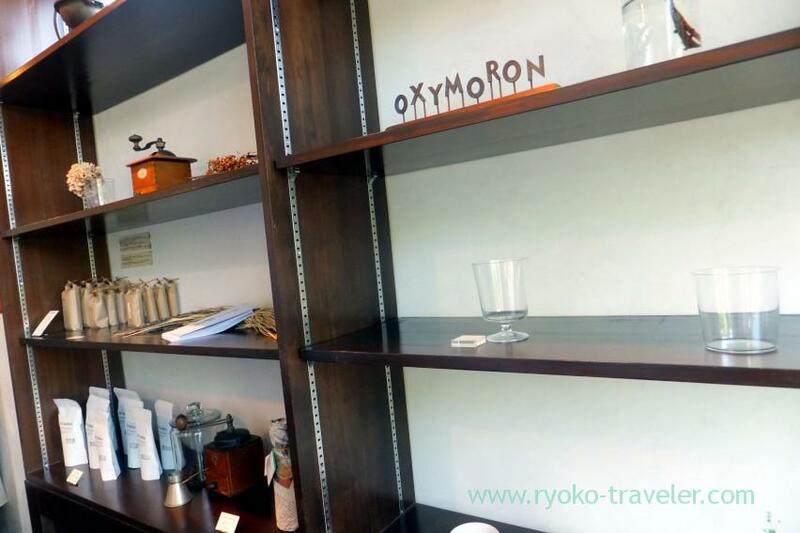 I visited OXYMORON being located within 10 minutes walk from Kamakura station. When we got to there, there were already many people waiting. 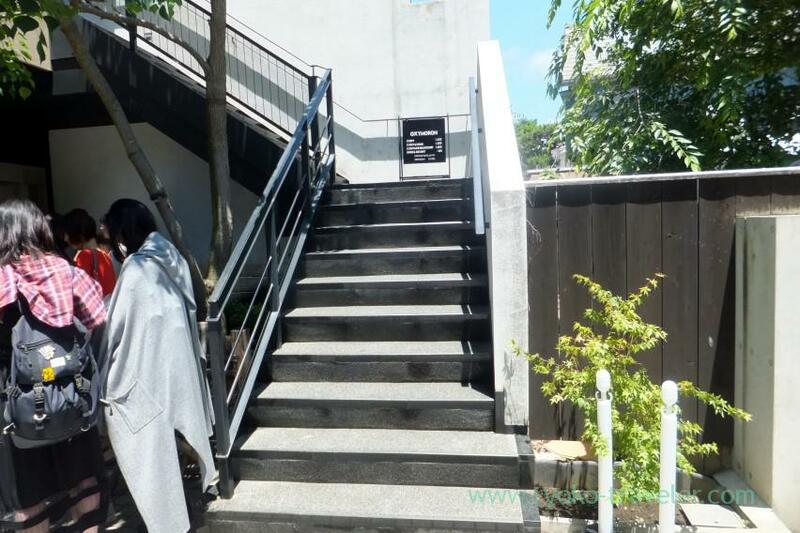 It’s the curry shop and it’s upstairs. They are curry shop and also they sell tableware and foods. 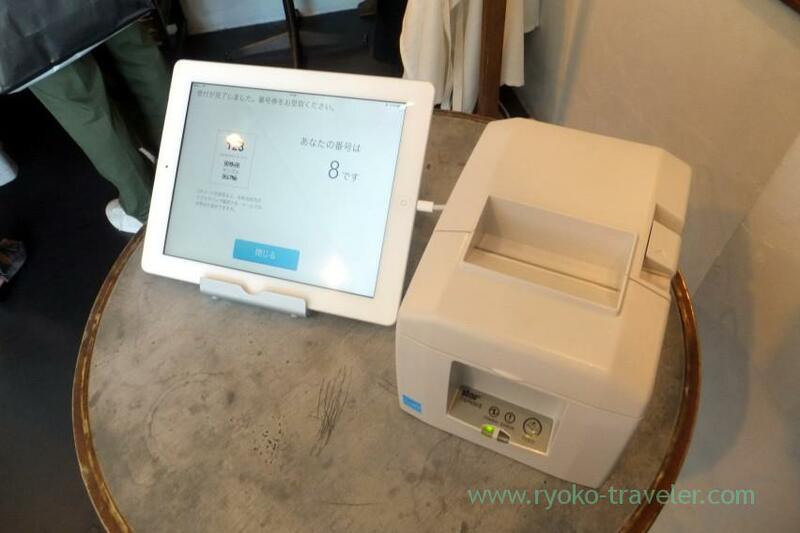 They prepare such a waiting machine at the door in the shop. When we enter the shop, we have to operate this machine. We touch the screen and get the paper. The paper is certification of waiting. Our number was 8. We waited over one hour. Finally our number was called. This shop is so cozy and intervals of tables are wide. We were starving. So, as soon as our foods were served, my mother started eating ! My curry. Ethnic soboro (minced meat) curry (エスニックそぼろカリー, 1200 yen). 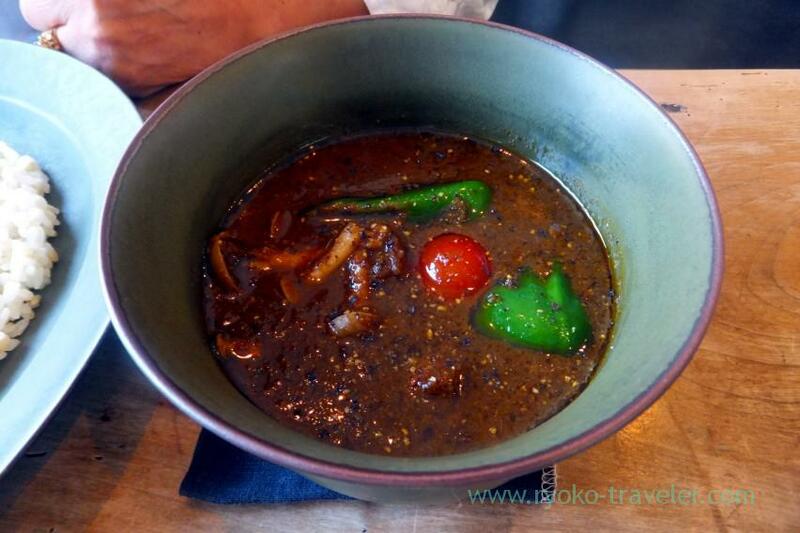 All curry can be chosen the level of the spiciness. I ordered spicy one. 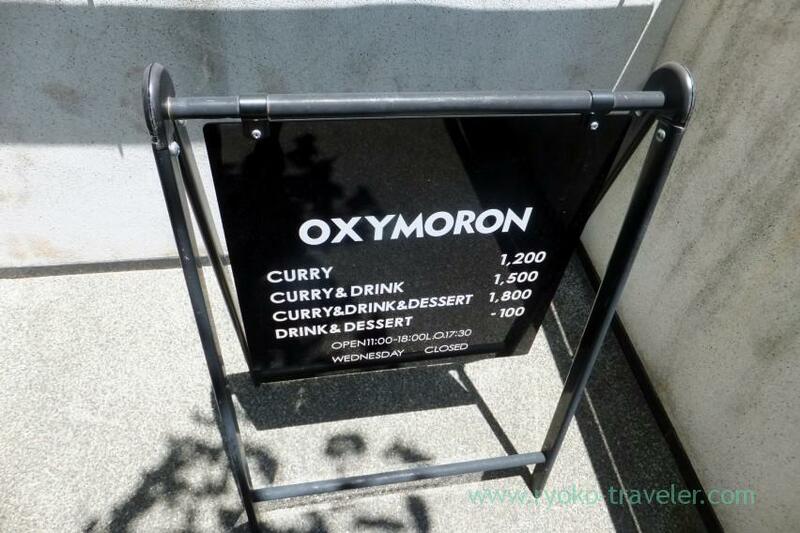 You might not imagine it when I said it is curry shop.It’s Oxymoron’s specialty. 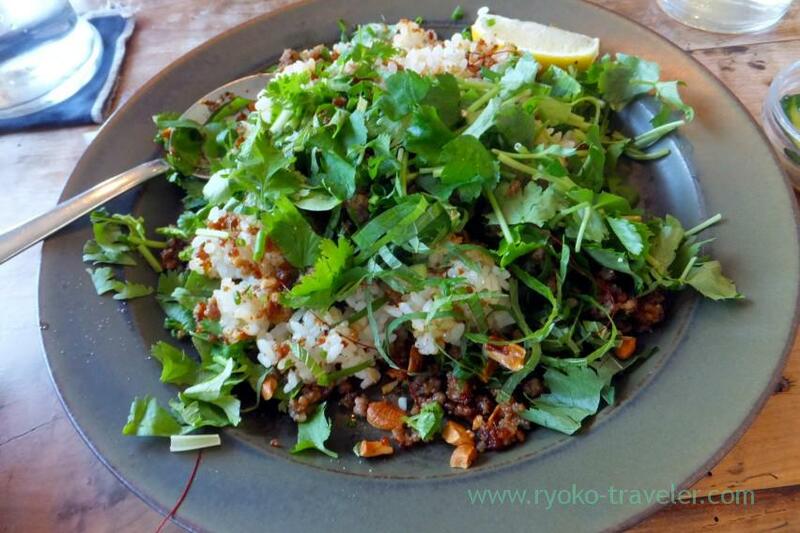 Rice being covered with nuts, curry flavored-minced meat, coriander, green onion, perilla (shiso), and thinly cut red pepper. 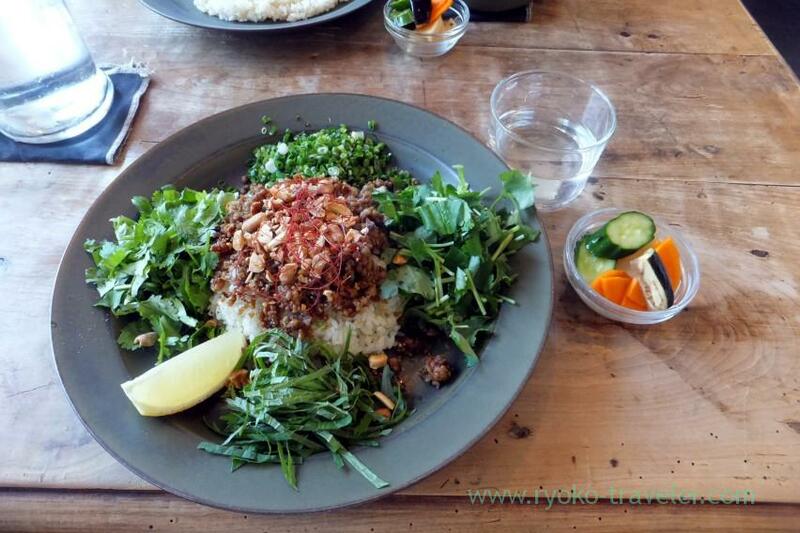 The way of eating it is …mix altogether well like this ! Indian curry ? English curry ? Japanese curry ? No. It’s the Oxymoron’s special. Though I couldn’t imagine the flavor before eating, it’s so delicious. She had medium spiciness. Though it was delicious, my soboro curry was far better than it because the soboro curry can be eaten in this shop only all the same. 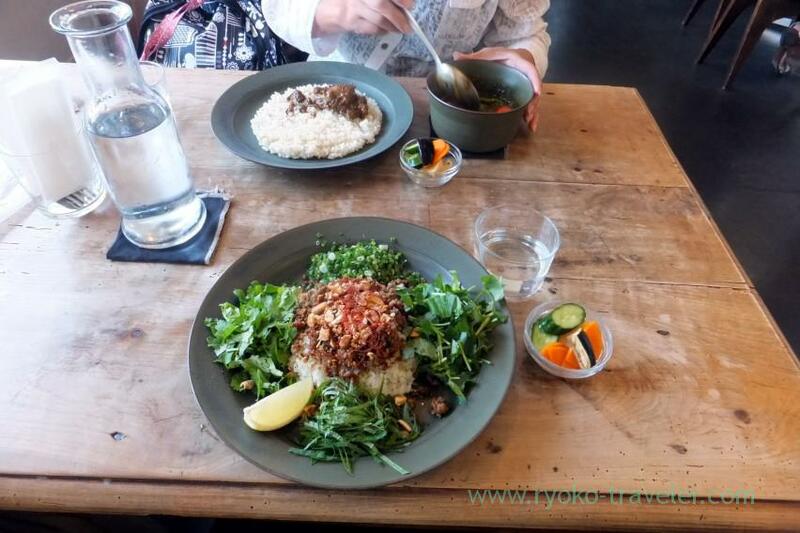 Soboro curry have unique taste ! It gave strong impact to us ! So, my mother was satisfied with this chicken curry, but she wanted to eat my soboro curry. So,I gave her half of my soboro curry and I ate half of this chicken curry 🙂 It had sweetness of vegetables. It was delicious, too. All curry have vegetable pickles. It’s delicious, too. By the way, I love these tableware that Oxymoron have. It’s produced by IIHOSHI YUMIKO. Strictly speaking, IIHOSHI YUMIKO produce these tableware for Oxymoron. I want these dishes more ! 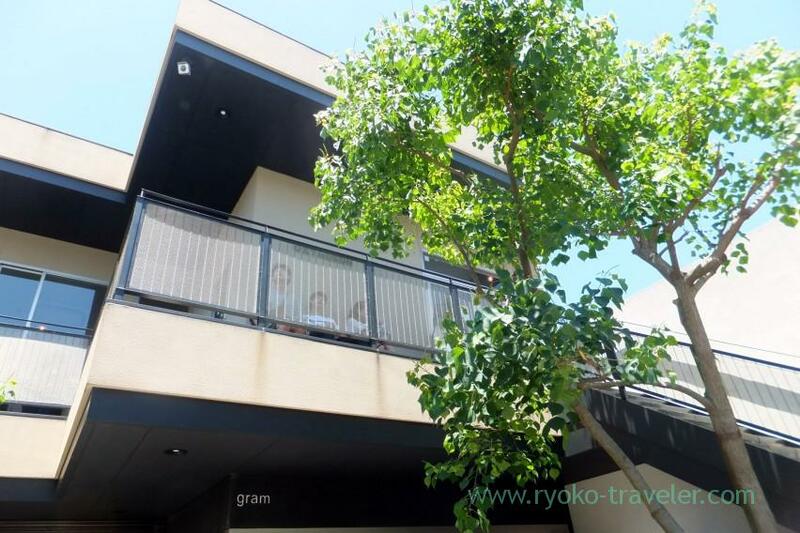 OXYMORON have branches in Kamakura along Onari street and Futako Tamagawa. 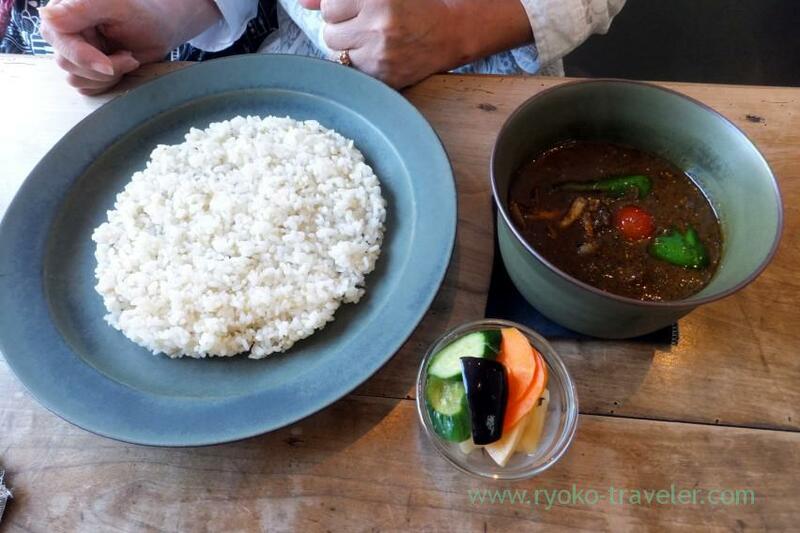 Though the number of curries on the menu is less than in OXYMORON Komachi, these curries that we ate that time can be eaten in all branches.